Recently, I ranked one of my Pinterest accounts and its boards for competitive terms including “baby shower”. In just a few months, I grew this account to 9,500 followers and am hoping to break 10,000 soon. In fact, I did it without blogging and by spending just a few minutes a day on Pinterest. Start by following other similar users that are likely to enjoy the items that you are pinning. You can find these users by doing a Pinterest search for topics that your target audience is interested in. For example, in the baby shower niche, I can search for “baby shower decorations” and click on the boards that show up. I can then click on the “followers” tab to see all the people that are following that board. Then, I can follow each of those users. By default, Pinterest will send each user an email when someone new follows them. If they find you interesting, they can follow you back. Another important advantage of following other users is that you will see what types of images people are pinning. This activity can provide you images that you can re-pin for your own audience and also allows you to see trends in your market. Secondly, spend time optimizing your boards for keywords. If your boards and pins rank in Pinterest search, people that are searching for images will be able to find you easier. And some of those people might become followers. Google Keyword Planner is a good tool to get keyword ideas, but you should also use Pinterest to do keyword research. If you start typing words into Pinterest search, Pinterest will suggest keyword phrases that other people might be using to find images. Take note of these keyword phrases and do a search to see what type of content shows up. If the pins that show up are getting re-pinned a lot, then you may want to consider creating a board for that keyword phrase. You might also be wondering if you need to optimize your pins for keywords. The answer is yes, but you don’t have to do it for every single pin. If you want a pin to have any chance of ranking for a keyword, then include that keyword in the description. Pins are shown for popular terms based on popularity, so they might only be ranked for a day or less in some cases. However, sometimes they can rank for several months. You can see which of your pins are the most popular by going to Pinterest analytics at analytics.pinterest.com. You can edit the keywords of popular pins if you want to try to rank for something. Finally, don’t bother with hashtags because they aren’t supported by Pinterest search. You can do a few searches on Pinterest to verify this. Most images that show up in Pinterest search don’t have hashtags in the description. A lot of businesses only pin their own stuff, but instead, focus on creating a quality resource for your audience. Most of the images I pin are from other websites. I focus on creating boards that people will want to follow rather than just pinning my own images. I also have a board that I can use specifically to pin products from my website. A lot of people will simply follow all of your boards and some people will follow your product boards if they are thinking of buying in the near future. 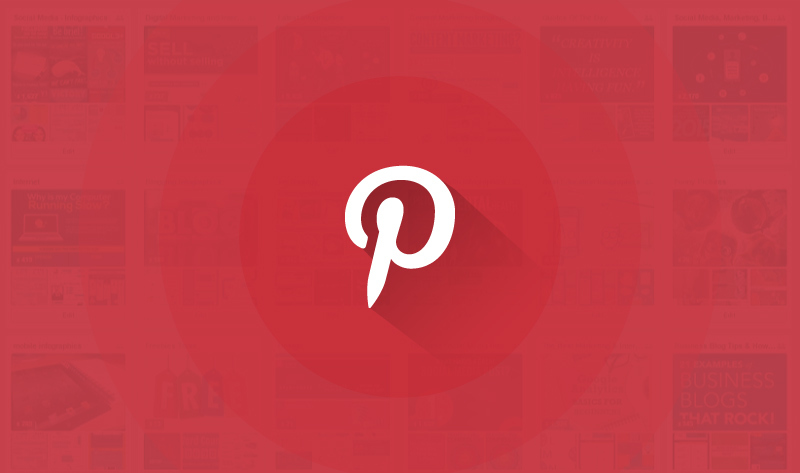 The simple secret to succeeding with Pinterest is to pin consistently, preferably every day. You don’t have to pin a ton of images, just find a couple of good images to pin each day. Now that Buffer has Pinterest scheduling, you can actually schedule your pins so that you don’t have to be online every day. Your pins will accumulate more and more views over time. Some of those will be from pin search and others will be from related pins. The more quality pins you have, the easier it will be for people to find you on Pinterest. To sum it up, growing a Pinterest following is not too difficult. It just takes consistency and a little time. If you can grow an account to 100 followers, then you can grow to 1,000. Keep taking action consistently and eventually you’ll hit 10,000. Do your keyword research and focus on creating a quality resource for your audience. So what do you think? Are you growing your following on Pinterest? Brian Lang is the owner of Small Business Ideas Blog, where he shares digital marketing tips and his experiences and ideas for running a small business. If you are thinking about starting your own business one day, be sure to download his free resource guide, 50+ Free Tools & Resources for Business & Marketing Automation.